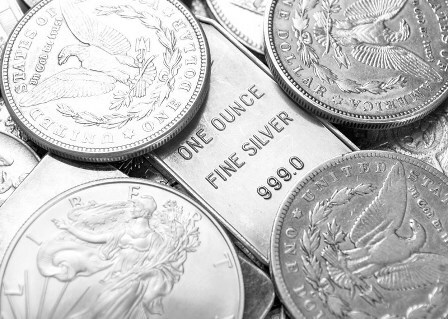 Silver is a precious metal, prized in cultures around the world for its beauty as jewellery and decoration, but it’s more than just a pretty looking metal. But there is truth to the myth. Silver has been used a form of medicine for centuries in traditional cultures, and, in modern times, silver’s powerful antimicrobial properties are recognised worldwide. Back in 1893, the Oligodynamic effect of silver was discovered – wherein a small dose of silver was found to exert a large effect on living algae, mould, spores, fungi, bacteria, viruses and other microorganisms. Very small concentrations of silver, some as low as 10 parts per million of water (a colloidal solution), were found to kill bacteria – a natural solution for making things sterile. In modern times water tanks are treated with silver and you can even buy underarm deodorant that has silver as an active ingredient. Many creams are now containing silver and you can even buy socks with silver in the fibers to help with athletes foot. Silver is increasingly being recognised, both scientifically and commercially, as a true alternative for the treatment of bacterial infections and illnesses. The rise of antibiotic-resistant super bugs is a major concern for the medical community worldwide, but colloidal silver is emerging as a real solution to the problem. Colloidal silver will kill harmful bacteria without creating resistance or immunity – a major hitch for drugs like penicillin, which are being resisted. 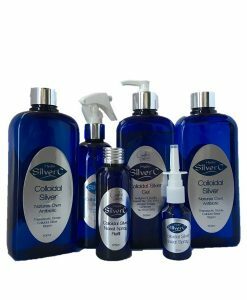 Because of its antibacterial properties; colloidal silver can be used to treat skin problems like eczema and skin infections like ringworm. 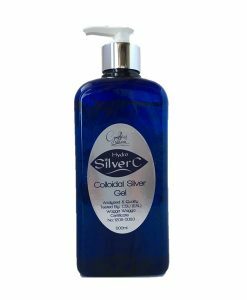 By killing the bacteria, colloidal silver allows soft tissue to heal much faster, and can even soothe scrapes and burns. Because it’s antibacterial, colloidal silver can help people avoid seasonal illnesses like colds and flu, as well as more serious infections like pneumonia. For example, colloidal silver taken in a nasal spray could kill pathogens that threaten the immune system. 4. Colloidal Silver can be used around our house. We use a lot of disinfected’s around the home to kill off germs bacteria and mold. Because colloidal silver is a natural product you can use it around your home in place of all the chemicals. The multitude of chemicals that are used in the home these days is one of the reasons our immune systems can be run down. Colloidal silver’s benefits are wide and far ranging, but there are also some risks you should be aware of. The main side effect that colloidal silver can cause is argyria, a bluish-grey discolouration of the skin, which can be permanent in some cases. The cause of this is from people that make their own colloidal silver with home made machines and the particles are too big to pass through the body so they sit under the skin, the build up of long term taking colloidal silver is the silver sitting under the skin hence the bluish grey looking skin. Its interesting though if you google argyria there is really only 3 known cases of it. There is also a risk that colloidal silver can impact the absorption of some drugs, such as certain antibiotics. However, if colloidal silver is made and used properly, there should be no harmful effects. This precious metal is gaining increasing recognition for its antibacterial properties, and could be a valuable addition to your personal health regime.The benefits of colloidal silver are numerous and new positive uses are being added all the time. People are trying it on so many skin problems, dogs, cats, horses and even farm animals and are getting great results. By having some in the cupboard all times is recommended as you can use it on burns, sore throat, cold, flu, rashes, bites and stings as soon as they happen.